If you type “will my job…” into Google, the top suggestions that pop up are all some variation on “will my job be taken by a robot”. It’s a legitimate fear these days, especially in the manufacturing sector, which has already seen significant job loss due to automation and stands to see even more. Yes, the America labour market is vulnerable. But there are a lot of factors to consider before we throw our hands in the air and resign ourselves to serving our robot overlords. Last month, Daron Acemoğlu, a Professor of Economics at MIT gave a lecture titled, “Robotics, AI, and the Future of Work”. In his lecture, Acemoğlu says that we have no real way of knowing whether we’re heading for a period of instability for workers, or a future of unprecedented wealth and prosperity. 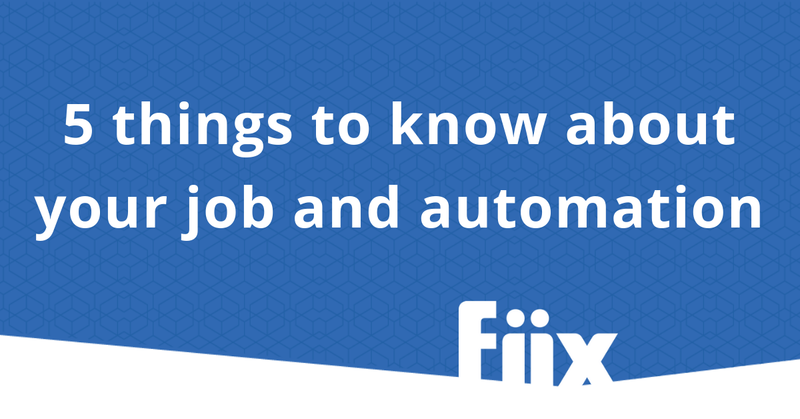 But he does highlight a few key pieces of information that can help today’s workers understand what’s actually going on with jobs in the era of automation. David Dodge CIFAR Lecture: Robotics, AI, and the Future of Work from CIFAR on Vimeo. Automation generally takes two forms: Enabling and replacing technology. As the name suggests, enabling technology helps us do our jobs more efficiently, by augmenting our abilities. Replacing technology, on the other hand, completely automates tasks traditionally done by humans so that we’re no longer necessary. While at first blush it might seem like replacing technologies are the ones to fear, this isn’t necessarily the case. These technologies do have the capacity to reduce wages, labour demand and employment, but there are knock-on effects that aren’t always negative. Robots, overall, cost less than human workers. So by using robots in manufacturing, the cost of production goes down, which lowers the cost of the product itself. Lower prices generally mean people buy more, increasing demand for labour in that industry. And more demand for labour = more jobs! In this ideal scenario, brilliant technology that dramatically increases productivity should not be any cause for concern. But the reality is that there is a lot of so-so tech—stuff that replaces workers but doesn’t increase productivity enough to really reduce costs—that we should be more worried about. Automation is far from a new concept and we have always created new jobs when replacing technology has displaced workers. The agriculture and textile industries are good examples here. Yes, technology came in and replaced a lot of workers, but the productivity gains in these industries gave them room to expand, which created new jobs for people. Technology does not exist in a bubble, and sometimes external financial, political, and social forces just don’t align in the right way, which can result in a technological bottleneck. Acemoğlu gives the example of cars: The technology we use in the auto industry has definitely evolved but we don’t get from point A to point B any faster than we did 30 years ago. This is because traffic regulations overall haven’t changed much in tandem with technology. Other factors like deteriorating infrastructure and more cars on the roads also add to the problem. In other words, as much as technology can jump forward, the surrounding factors are often too slow to catch up. So workers are replaced by automation, but we don’t see significant enough productivity gains elsewhere in society to pick up the slack. One idea that needs to be more prominent in conversations around technology and work is that we still have a say in the matter. People control the implementation of technology, and it’s up to humans to create policies that govern how replacing technologies are rolled out. “We need to start thinking about policy as an additional lever in order to increase the shared nature of the prosperity that new technologies bring,” says Acemoğlu. Ensuring that new technology is implemented in a way that’s conducive to actually increasing productivity. This includes scrutinizing old regulations to make sure the regulatory environment is prepared, giving new technology the best possible chance of success. Equipping the workforce with skills that are complementary to technology. Closing skill gaps among workers will help soften the blow of new technology, as it creates wage growth for workers with those skills. Recognizing that there is no guarantee that investing in complementary skills will help everyone, and thinking more seriously about how we can improve fiscal systems and social services to help those who are displaced by technology. Despite the vast amount of information available about the changing workforce, it should be clear at this point that there’s no real roadmap for workers when it comes to automation. But understanding enough to cut through some of the hysteria can help paint a much clearer picture of work in the age of robotics and AI.